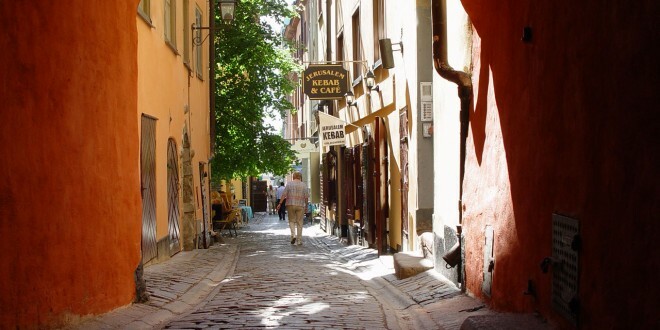 It’s quite clear why Gamla Stan or Old Town in English is one of Stockholm’s biggest tourist attractions. The cobbled streets crawl from main streets to alleyways leading travelers to shops, cafes, cathedrals, and museums. If it’s your first time in Stockholm, a trip to where the city actually started should definitely be on your to-do list. What makes the place so interesting is that it’s a well-preserved medieval city that hails from the 13th century. As one of the most authentic medieval cities in Europe, a visit to the Old Town feels like time traveling as you walk along the cobblestone paths and look buildings and frescoes that can be traced back to the Middle Ages. Some houses even kept cannonballs buried in their houses’ walls from the 16th century , the time when Sweden was at war with Denmark. The Old Town is home to the Royal Palace (Kungliga Slottet), the House of Nobility (Riddarholmen), and the Nobel Museum. You can also find the world’s oldest restaurant in Gamla Stan, Den Gyldene Freden which has been open since 1722. If you want to get to know Sweden, the Old Town is a good place to start. Public transportation is quite good in Sweden so you should not have problems finding your way around the city. From Arlanda Airport, you could just take the speed train that goes directly to Stockholm’s Central Station. From there, you could get regular train tickets (remsa) but if you want to get more bang for your buck, you could get the Stockholm Card since it doubles as a museum pass, too. To get to the Old Town, you just hop on the subway from the Central Station as it is the quickest and cheapest way to get there. If you want to really take in Stockholm’s beauty, you could walk from the Central Station. You could take the exit going to Sergel’s Torg or Klara Kyrka and make your way down the south side of Drottninggatan. You won’t miss this impressive building as soon as you walk into the Old Town from Drottninggatan. The Royal Palace is one of the biggest in Europe. Its massive area houses five museums.. You can also watch the change of Royal Guards daily. Also called the Grey Friars monastery, this church is centuries-old. Built in the 13th century, Riddarholmskyrka is the burial place of Swedish kinds. While more of a museum than a church, Riddarholm Church is an impressive structure you should visit. Get to know the darker side of Stockholm. This popular guided walking tour takes you around The Old Town and gives you an idea of how it was like living in Gamla Stan from its inception to when the plague reached the shores of Stockholm. Located at Stortorget, the Nobel Museum is a sort of altar for creative minds as it features films, inventions, and back stories of previous Nobel Prize winners. Across the museum are two popular coffee shops: Kaffeekoppen (Coffee Cup) and Chockladkoppen (Chocolate Cup) which offers a really good cup of hot white chocolate you should definitely try. Restaurants along Västerlånggatan (the main street in Old Town) might look cozy but prices are jacked up to almost double than you would pay outside the area. Also, food is often not great. Some souvenir shops in the Old Town are also guilty of overpricing so try to hold off shopping until you’ve walked around the area and compared prices. The three-shell scam along Västerlånggatan is another tourist trap you could avoid. Tourists in Gamla Stan have been ripped off as much as 500 SEK (around $70) so if you see a group of people gathered around a man moving three boxes, steer clear of him even if he gives you initial playing money. Social entrepreneur with a big heart, lots of energy and strong analytical skills.